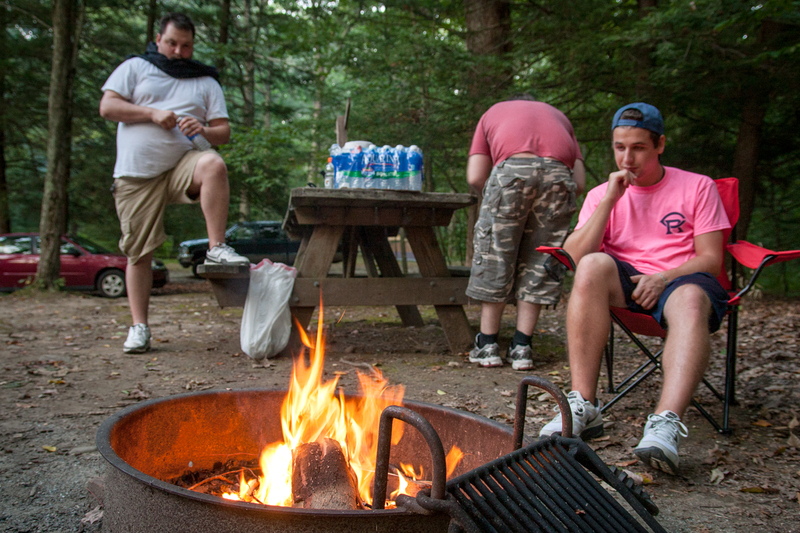 On Friday, Andrew, Nate, Dennis, and myself, drove out to Mashamoquet Brook State Park in Connecticut for a weekend of camping. I really needed a weekend away from technology so I did my best to make my camera the only tech I used. I did turn on my phone for music and a flashlight at one point but I stayed in Airplane mode and did not use the interwebs. Spending time in the woods in the company of great friends, some booze, some food, and the blue moon was exactly what I needed to reboot myself. Here is a picture from day one, nothing amazing technically, but the photos over the next few days document a great weekend with good people.